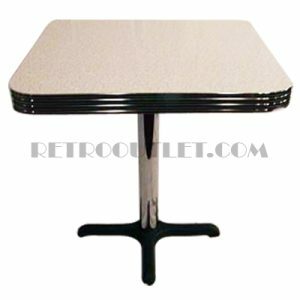 This 50’s style Rectangle Dinette Table 36×48 with Retro Chrome Legs is available in any standard or premium boomerang or cracked ice laminates. 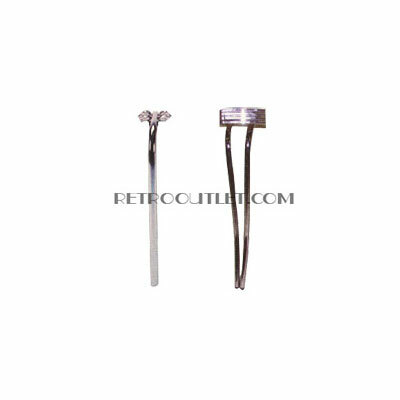 The table top is available in 1.25″ or 2.25″ real metal banding and Classic Single or Double Pole Retro Chrome Legs. Start with this beautiful selection and then choose from any of our coordinating retro diner chairs to complete the set of your dreams!